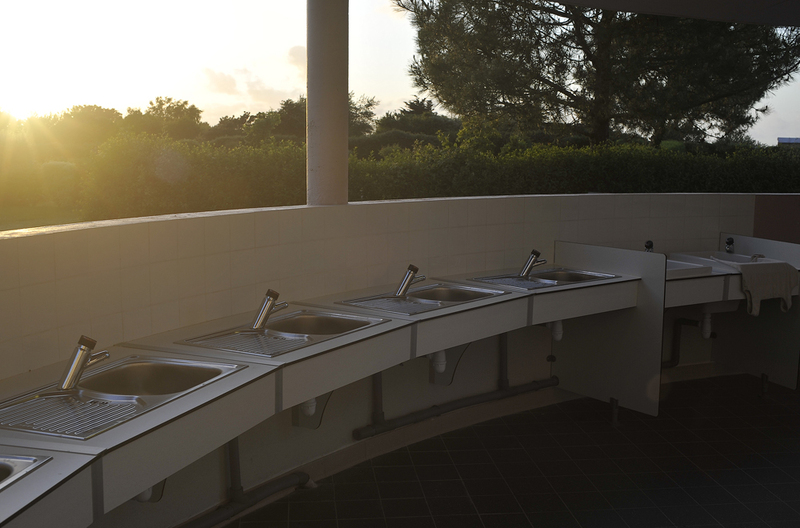 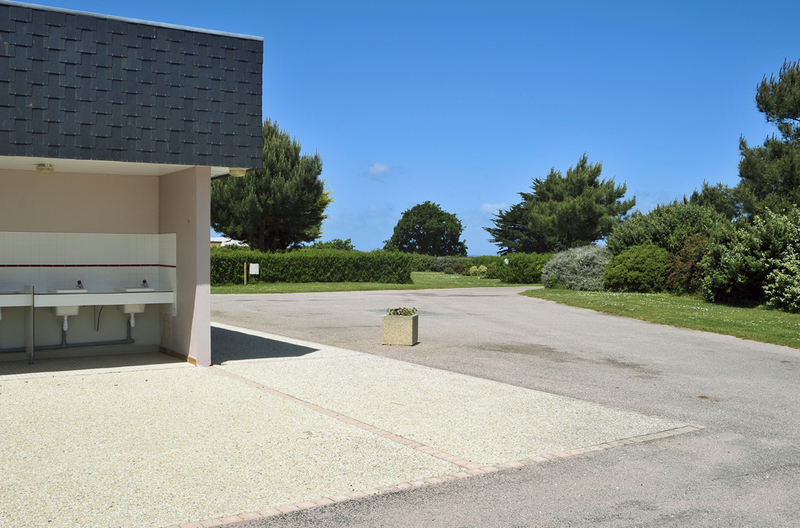 Holidaying in France recently I came upon a most beautiful toilet block within the campsite on which I was staying. 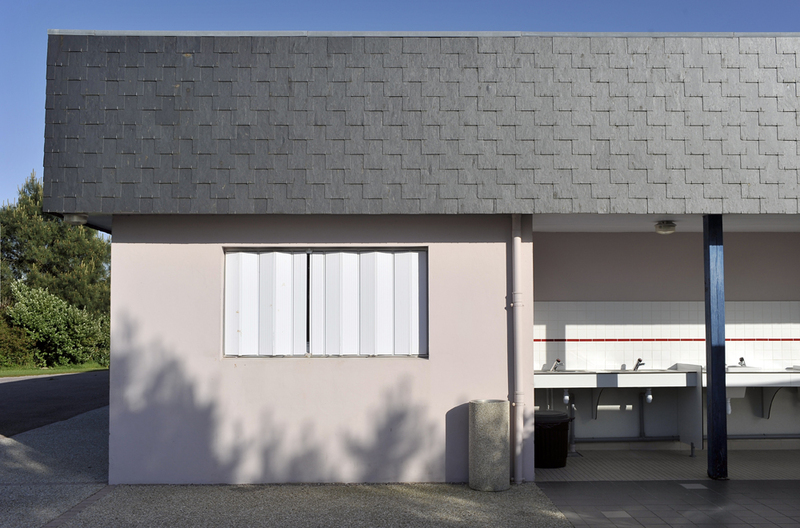 It not only seemed to encapsulate many of my childhood memories of French camping holidays it also happened to be architecturally delightful. 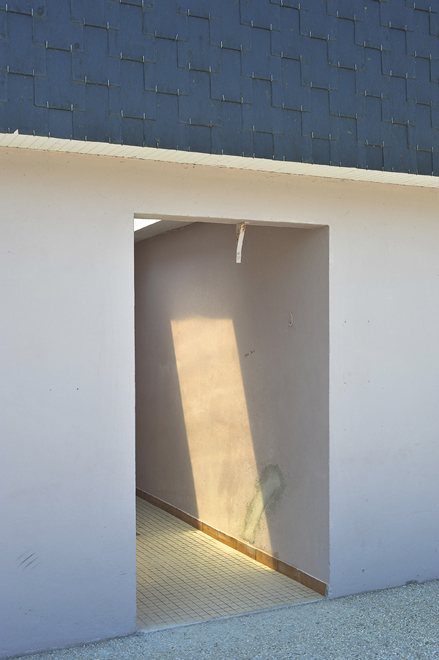 The manner in which the light fell upon it and entered it through doorways and plastic roof lights was so captivating that I quite forgot it's menial (yet vital) purpose. 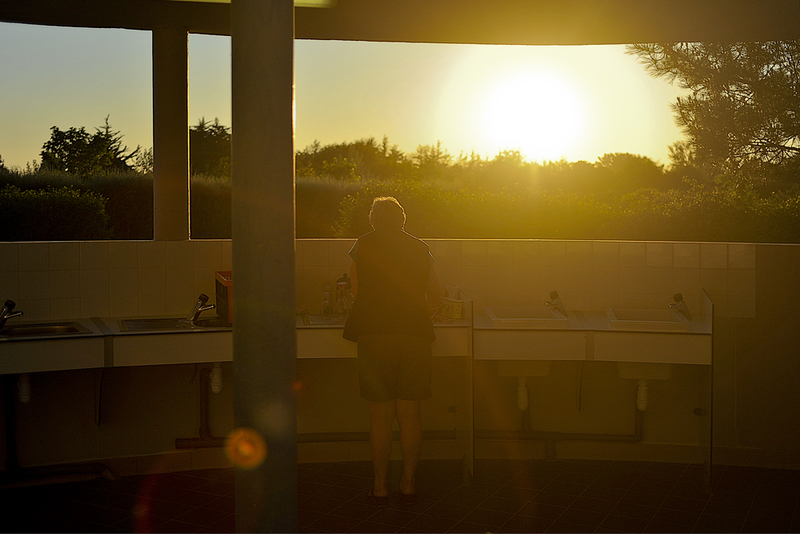 My memories of family holidays in the 70s were stirred. 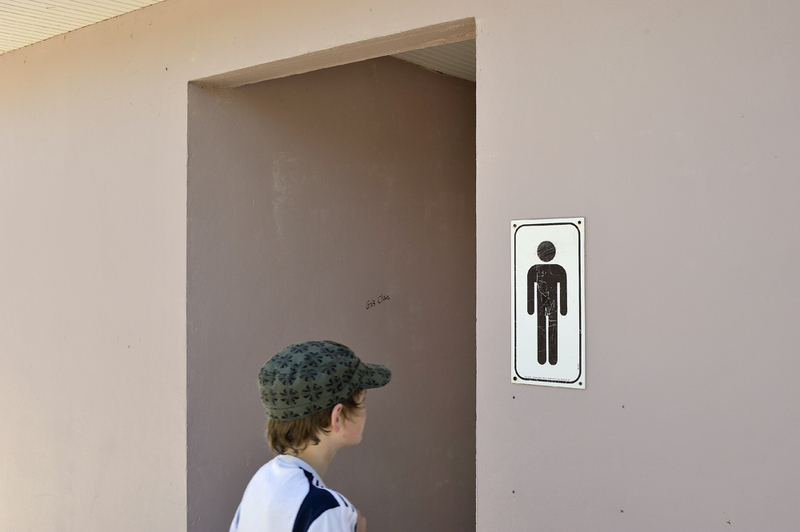 The toilet block was where you mixed with exotic foreigners and the louche mÃ©lange of sexes within parts of the block seemed terribly risquÃ© to an 8 year old English boy. 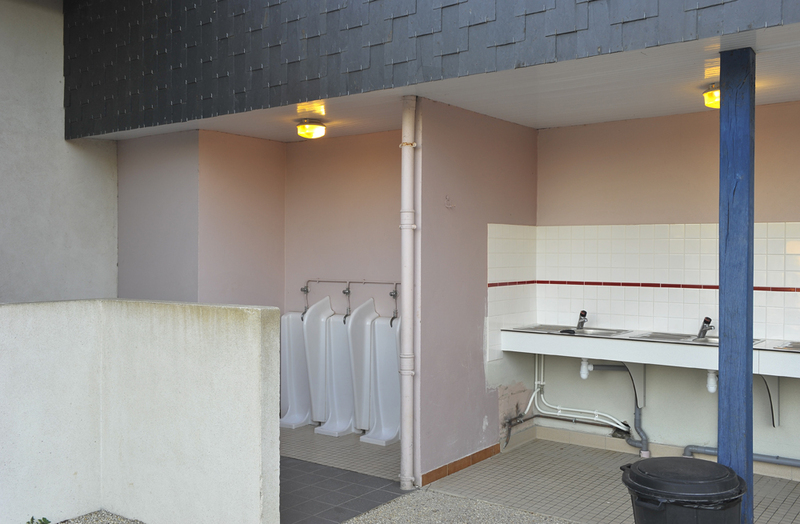 This block's external urinals elicited a shocked reaction from my own 8 year old son as we drove past it for the first time. 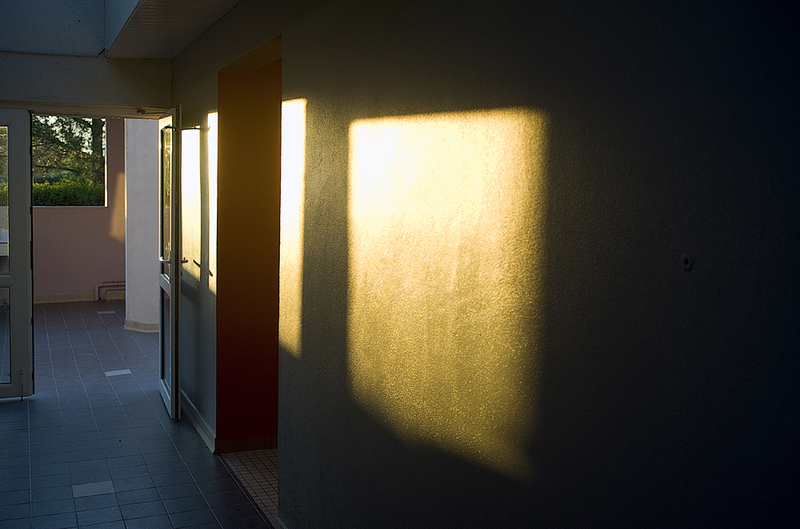 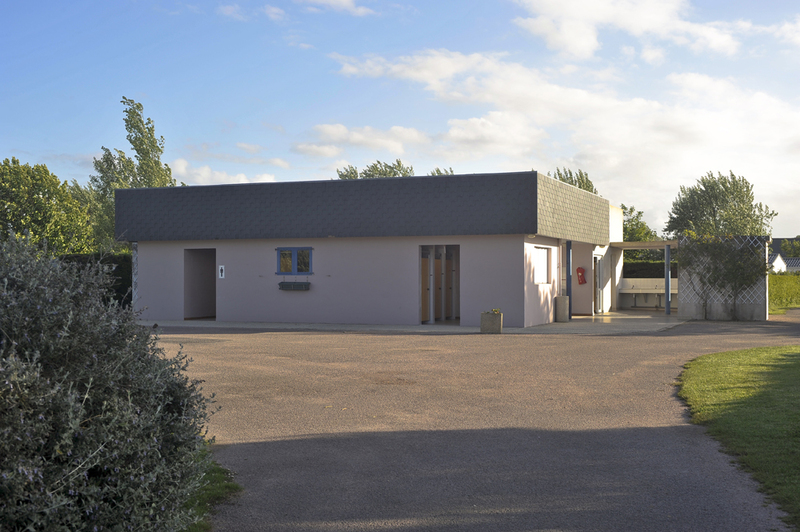 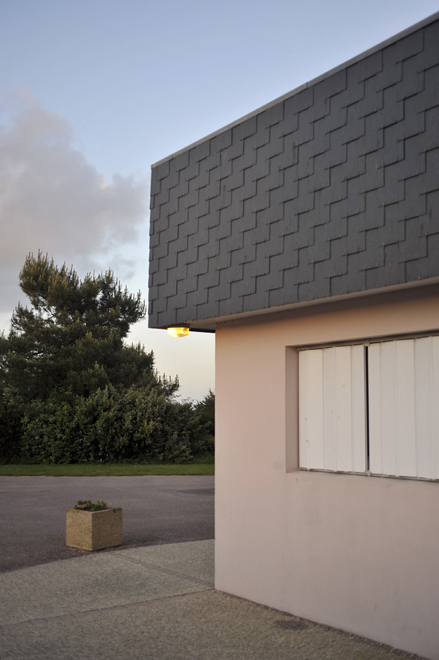 The buildingâ€™s ability to symbolise my memories and its simple architecture under the beautiful French light drew me to surreptitiously photograph it over the days I stayed on the site. 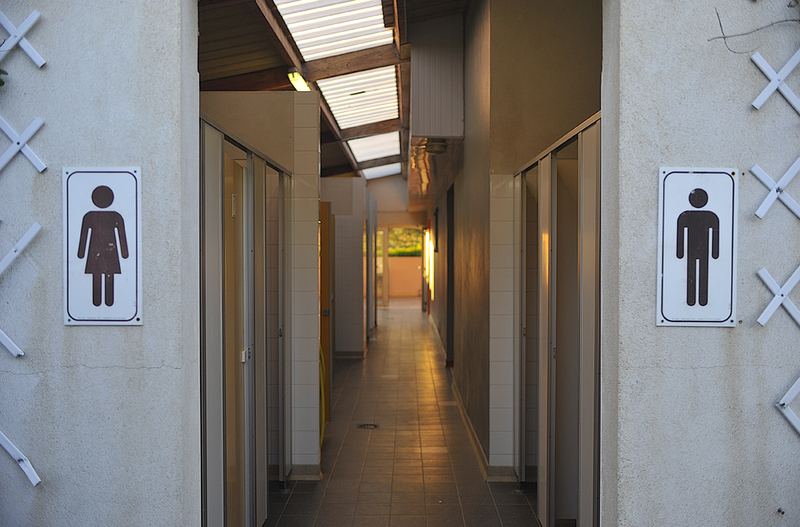 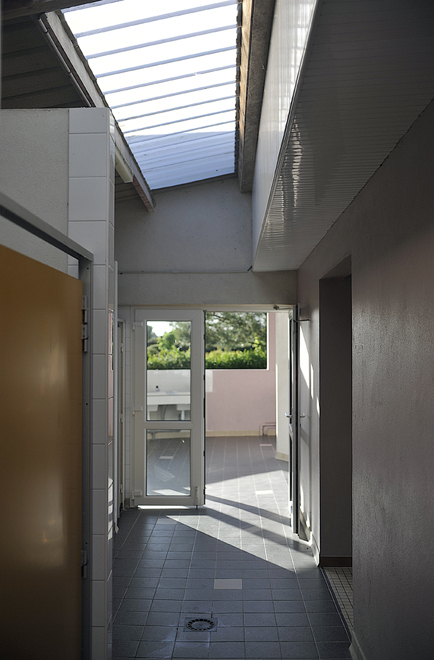 Untitled (French toilet block 2009).